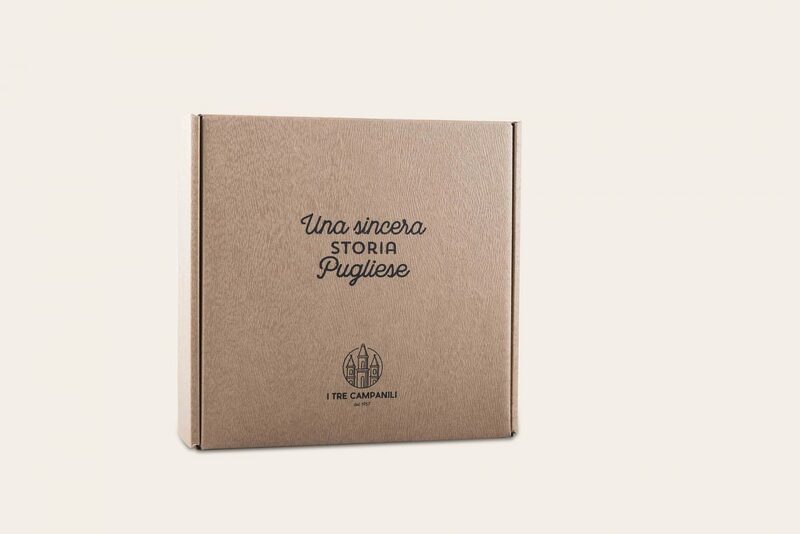 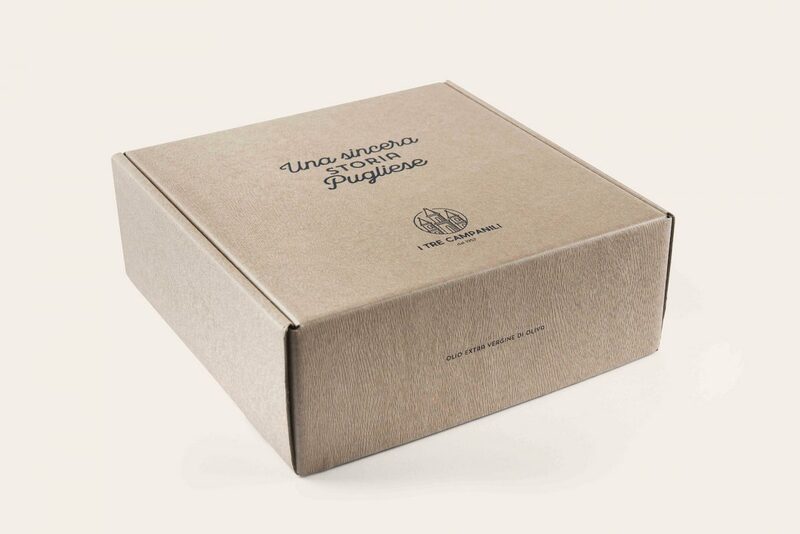 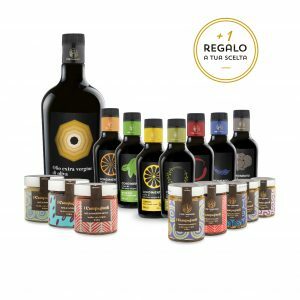  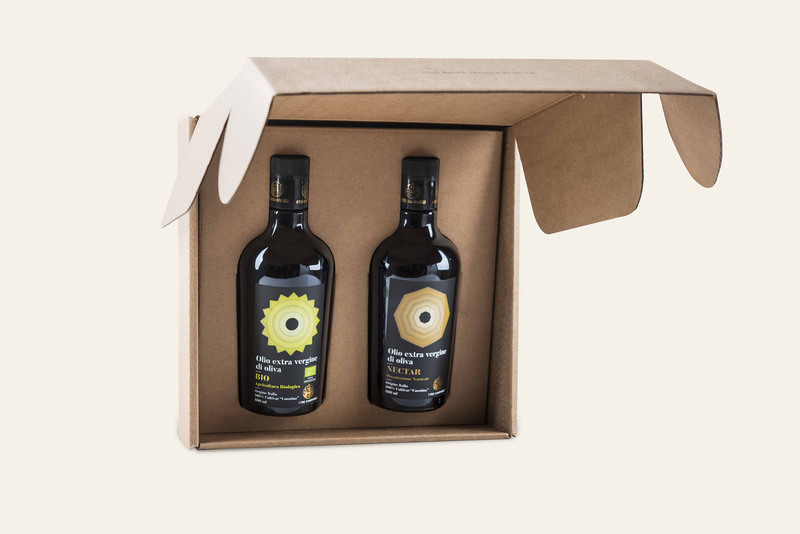 Gift box containing 2 500ml bottles of I Tre Campanili Extra Virgin Olive Oil. 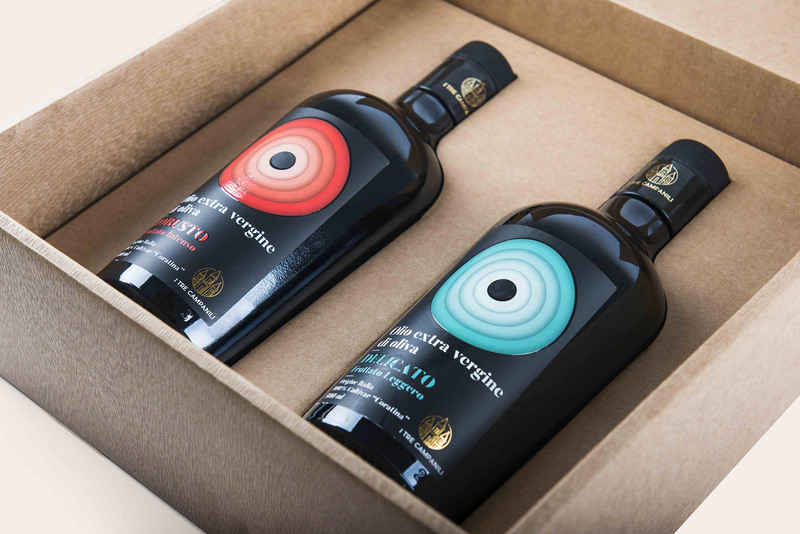 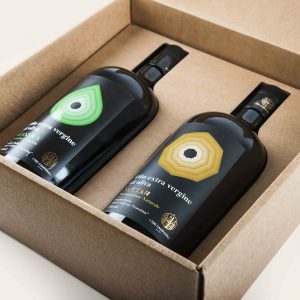 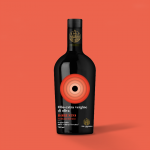 Choose the two bottles to be included in the gift box, the box is free. 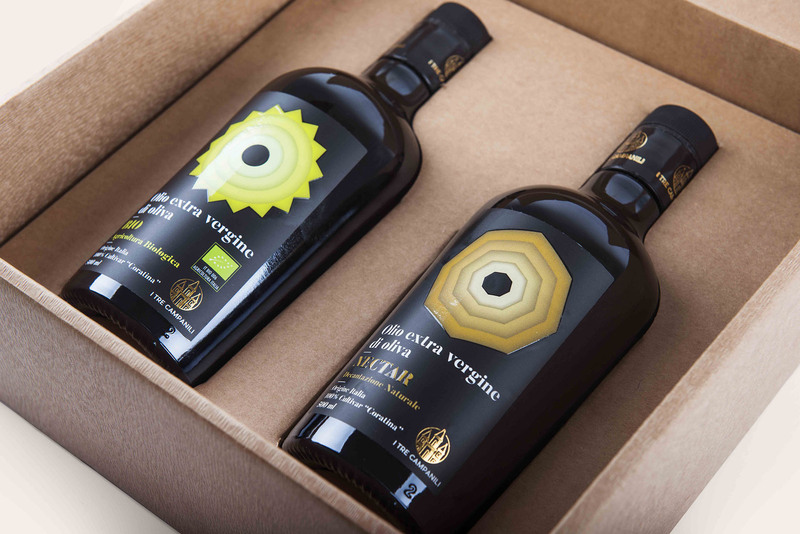 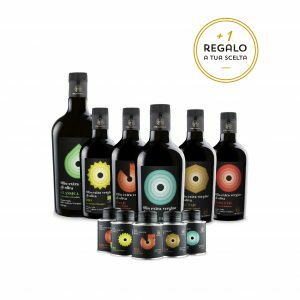 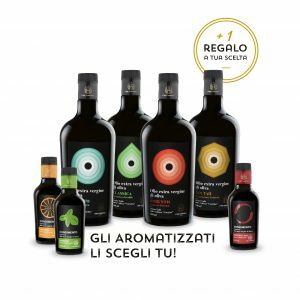 2017/2018 new year’s fruity “Robusto” extra virgin olive oil is produced exclusively by “Coratina” cultivar. 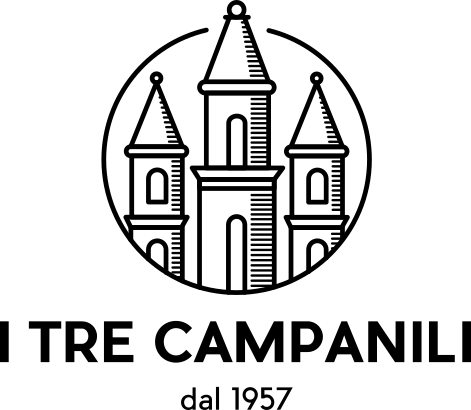 The predominant characteristic is the pleasantly spicy and bitter fruity taste.